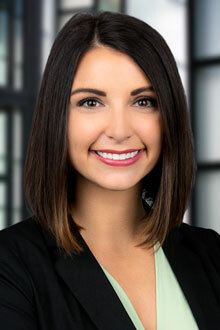 Jennifer Brower is an associate at the Tampa office of Lewis Brisbois. Ms. Brower litigates first party property coverage, products liability, and general liability cases. Ms. Brower has experience in various stages of litigation including pre-suit handling, depositions, discovery, and motion practice. Worked at the Hillsborough County State Attorney's Office for two and a half years, working in the misdemeanor, juvenile and felony divisions, taking approximately twenty cases to jury trial, and arguing hundreds of motions. Worked at Butler Weihmuller Katz Craig LLP for nearly a year defending insurance companies in first party property coverage cases.